Home » Blog » How to clean berber rug carpet? How to clean berber rug carpet? Whether you are already an owner of a berber rug carpet at home, or you a considering installing such, there are some things we would like to tell you. First of all, good for you – it is a really great interior design decision with a nice stylish appearance and amazing practical qualities. Still, every good thing has a price. So does the berber rug carpet! And when it comes to its price, it is not as high as the efforts you need to make to keep it fresh, clean, soft and bright. We would like to give you some hints about the berber rug carpet maintenance now. How to clean the berber rug carpet on a regular basis? 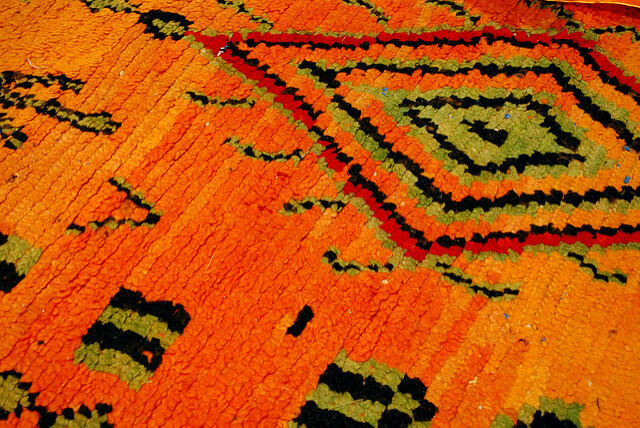 Berber rug carpet is ok to be vacuumed regularly. It keeps it dust-free, shiny and pleasant even when you touch it. Make sure, though, that your vacuum cleaner is working properly. Drastic movements should be excluded and better use an average power of the device, but not the highest. Otherwise, you can tear the rug off. When using liquid washing methods, better apply the products with spray bottle or with a sponge. It is required to blot and damp and mop the carpet, but not to rinse it thoroughly. Berber rug carpets dry slowly, which makes it very risky for them to get mold. If you have the possibility, use professional carper cleaning once in a while. This helps the rug stay in a top condition. How to remove stains out of a berber rug carpet? Pre-treat the stain properly! You can use a dry solvent from your store, laundry detergent – better mild one – or ordinary baking soda. In case of the ammonia pre-treatment, vacuum it off before the washing procedure. Grease and mud stains are easy to be removed with all-purpose cleaners. However, use small amount of the product at the back side of the berber rug carpet in advance. This is a test you need to make to exclude any incidents. If you prefer the natural cleaning approach, get rid of the stains out of the berber rug carpet with white vinegar. If you can find distilled white vinegar, it will be even better!